Was it divorce or dalliance in early Maritime Canada? 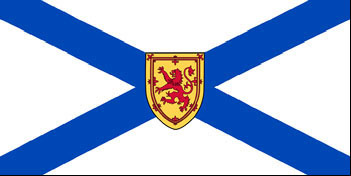 Reader Dave Mitchell of South Africa poses a challenging question to The Legal Genealogist: “Was there such a thing as divorce in the Canadian Maritimes ca. 1820? … If so, are there any legal or Court records for this?” He explains that the history of one family line he’s researching suggests at least the possibility of a very early divorce in Nova Scotia … or, perhaps more likely, the possibility of the birth of twin boys without benefit of a marriage between their parents. So he’s looking for help in finding records that might help him know for sure. Now… I gotta tell ya… I went to elementary school, junior high school, high school, university, and law school in the United States. I’ve practiced law in the United States. I’ve taught about U.S. law in a U.S. law school. Nova Scotia is, well, um, er, foreign. It’s in a different country, for pete’s sake. So forgive me if I heave a great big sigh of relief that Dave’s question didn’t throw me any more curveballs than that. Turns out there really is a chance — not a high likelihood, but at least some slight chance — that Dave’s mystery couple might have been divorced. Although divorce wasn’t the norm by any means, all of the Canadian Maritime Provinces of Nova Scotia, New Brunswick and Prince Edward Island1 had early divorce laws: Nova Scotia as early as 1758; New Brunswick as early as 1791; and Prince Edward Island as early as 1835.2 The grounds for divorce were a bit different in each of the provinces. The Prince Edward Island law, which recognized grounds of frigidity or impotence, consanguinity,8 or adultery, didn’t come into force until 1835,9 too late to be involved in Dave’s case. So… okay… Nova Scotia and New Brunswick are possibles. So where does Dave go to find the records that might show an early divorce in this family? For Nova Scotia, the records of Nova Scotia’s Court for Divorce and Matrimonial Causes, 1759-1960, are held by the Nova Scotia Archives and the Archives has a wonderful online index as a first step in research there. Records of the New Brunwick Court for Divorce and Matrimonial Causes and its predecessors (divorces were generally by the Governor and Council prior to the mid-19th century) should be in the Provincial Archives of New Brunswick. It doesn’t offer an online index but should clearly be the first step for research there. And though Prince Edward Island isn’t in the cards for this case, for those who do have PEI ancestors, the Public Archives and Records Office has a solid website, with some online databases, research guides and more. So there you go, Dave. And hey… lemme know what you find out, okay? Divorce… or dalliance? I know that I come to this post late in the day, but a few points to bear in mind with divorce in Canada. Under the Canadian constitution, divorce falls under federal jurisdiction. However, most other family law matters (i.e. child custody, separation of common law spouses, etc.) is provincial legislation – with some exceptions (the federal Divorce Act does have some incidental effect on some matters that is otherwise within the provincial jurisdiction). Until 1867, there was not a nation-state of Canada. There were separate British colonies, often collectively referred to as “British North America”. When Canada became a country, it only included some of those colonies, which were the original four provinces (Ontario, Quebec, New Brunswick, and Nova Scotia). Until confederation (the term often used, somewhat erroneously, to describe the creation of Canada in 1867), the law of each separate colony would apply, subject to the authority granted by the UK. The authority of the separate colonies continued until they each joined Canada as provinces – bearing in mind that not all provinces are former colonies (e.g. some were carved out of the Northwest Territories). By 1900, there were seven provinces – the rest of the country had territorial status within Canada. Saskatchewan and Alberta were created from those territories in 1905. Newfoundland, which for a period of time between the world wars was a country equal in status as Canada, became a province in 1949. Thanks for the view from North of the Border!